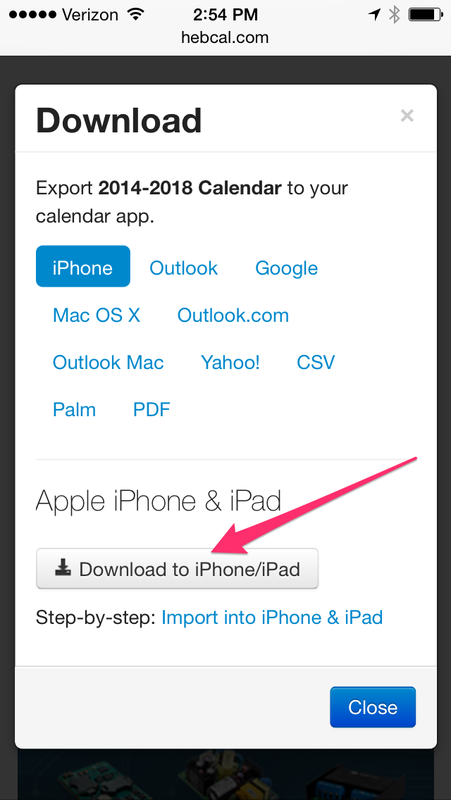 Go to the Settings app, then touch Mail, Contacts, Calendars. Tap Delete Account again to confirm. 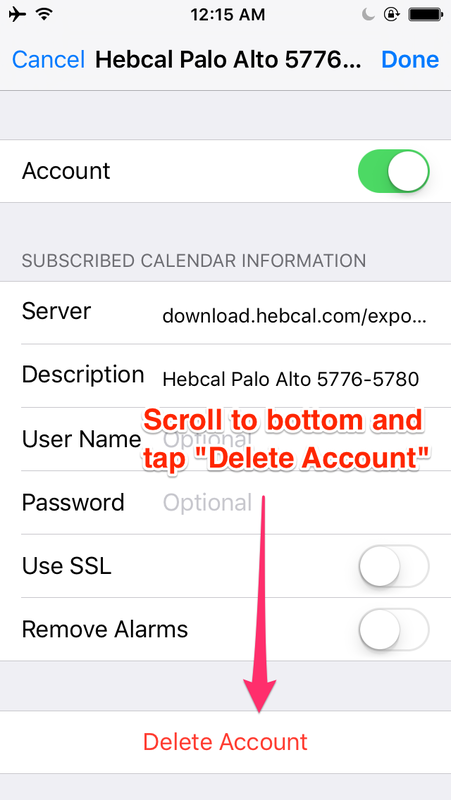 To remove an iCloud-managed Hebcal calendar from your iPhone or iPad, follow these three steps. 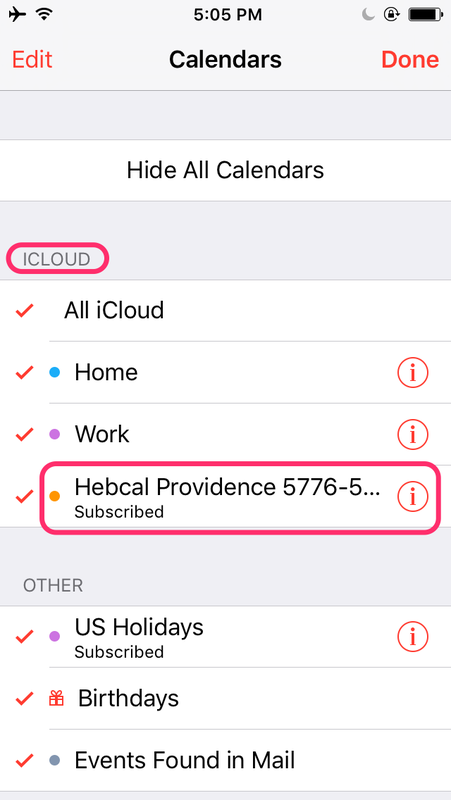 To remove a Hebcal calendar from your iPhone or iPad, you’ll need to first determine if you subscribed via iCloud or whether you subscribed directly from your iOS device. Here are specific instructions for each option. 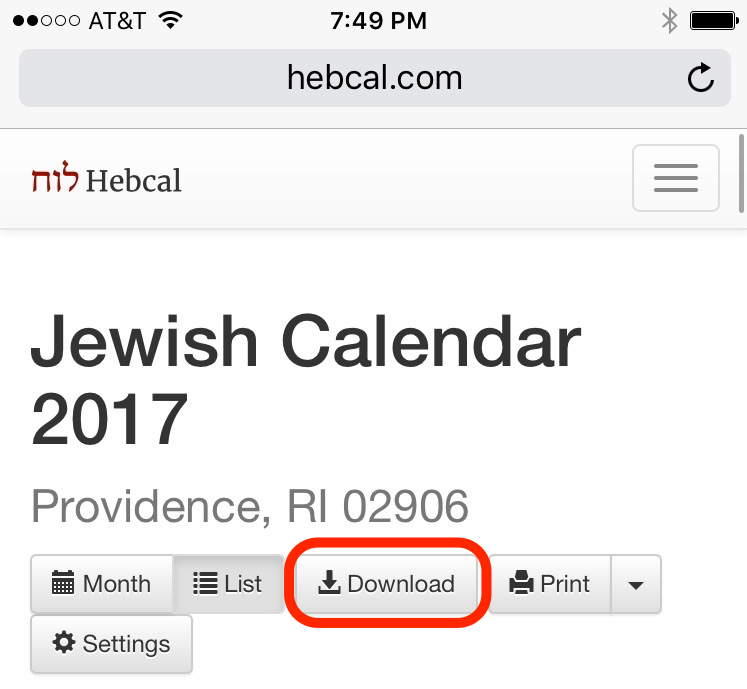 Read iCloud – remove Hebcal Jewish calendar for further instructions. 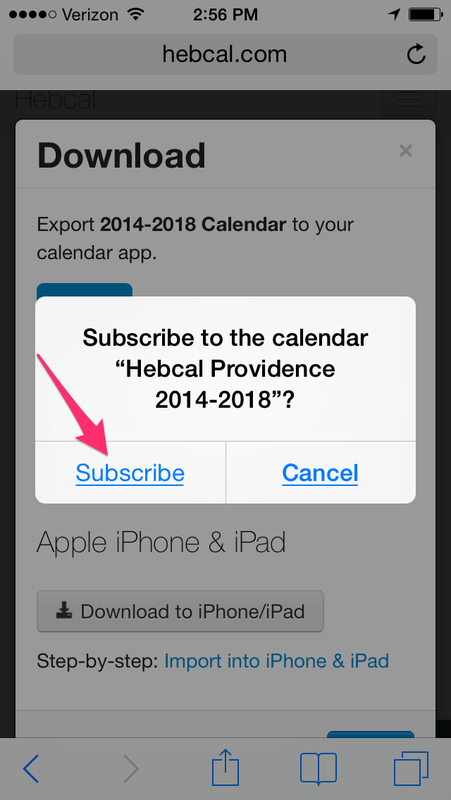 Read iPhone and iPad – remove Hebcal Jewish calendar (without iCloud) for further instructions. 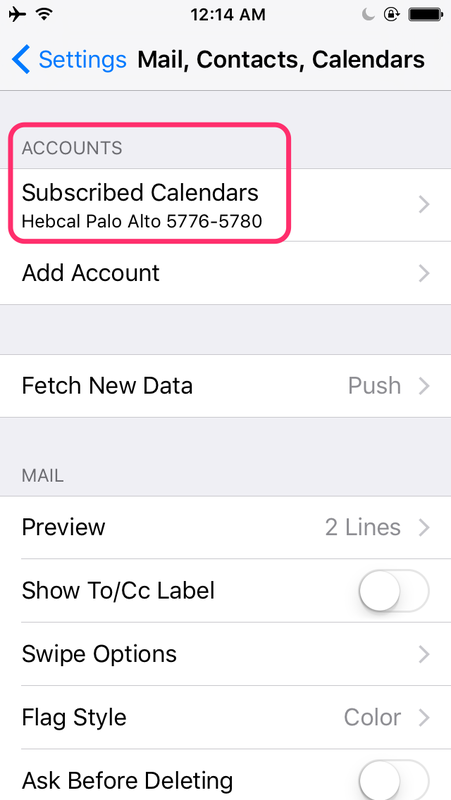 If you want to remove the calendar, follow these delete or unsubscribe from your iPhone or iPad instructions. 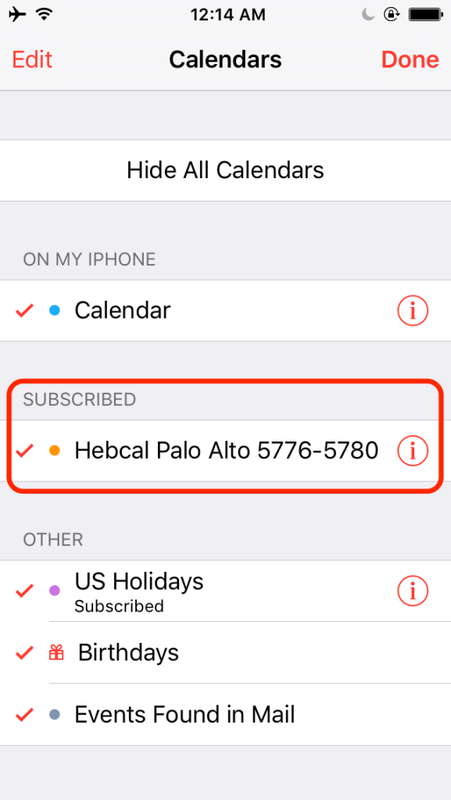 When you update your Apple device to iOS 7, you may need to adjust your Subscribed Calendar settings in order to see your old Hebcal.com calendars. Note: these instructions are no longer required. In September 2013, Hebcal.com began supporting SSL. We’re keeping this page here for historical purposes. 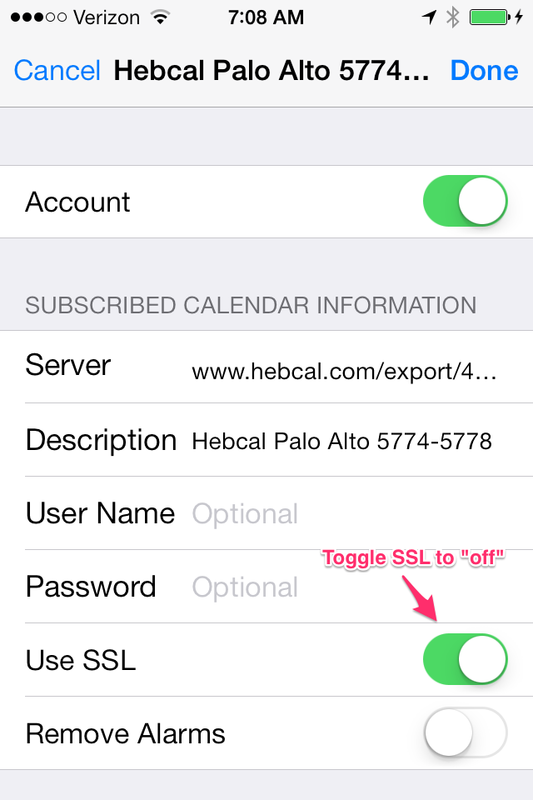 When iOS7 was released, calendars upgraded from iOS6 to iOS6 defaulted to SSL on, which did not work with Hebcal.com back in September 2013. 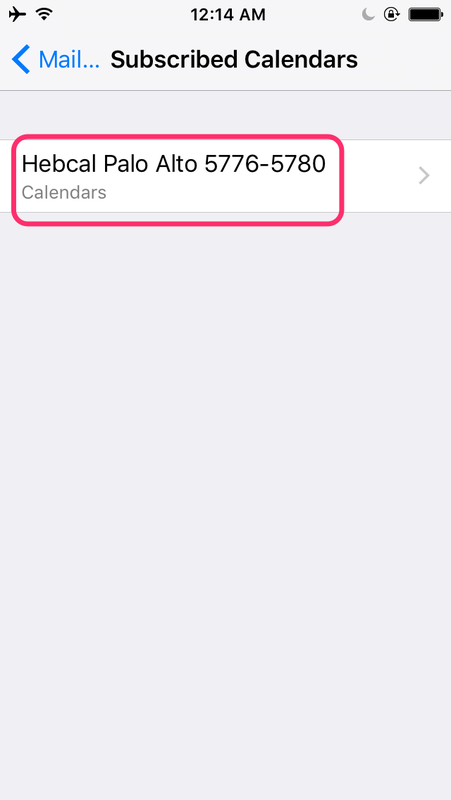 Resetting the calendar to SSL off will cause the calendar to show up correctly again. 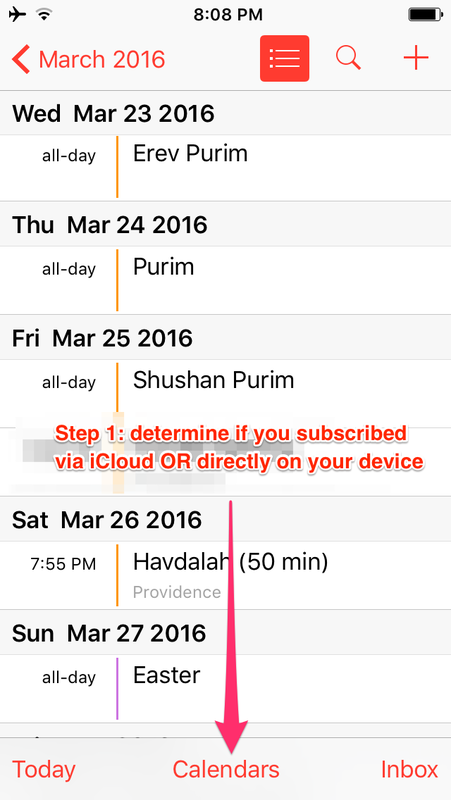 Update – March 2014: to avoid storing sensitive customer data on our servers, we recently modified our Yahrzeit + Anniversary calendar export to “download” instead of “subscribe” calendars in iOS. Note that this only applies to our Yahrzeit + Anniversary calendar, which often includes names of individuals. 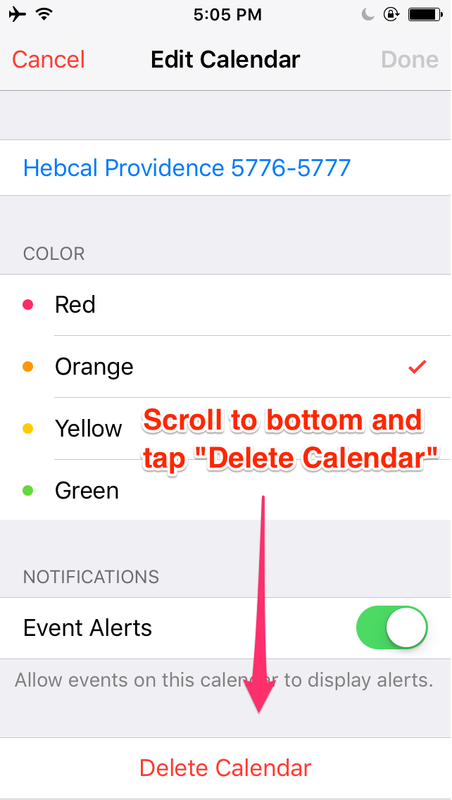 If you successfully downloaded a Yahrzeit calendar from Hebcal.com to your iPhone, then any Yahrzeit or Anniversary reminders are now part of your regular calendar (often called “Home” or “Calendar”) and there is no need to make any changes to your Settings.